And he comes not back to me. As before, at the gate. 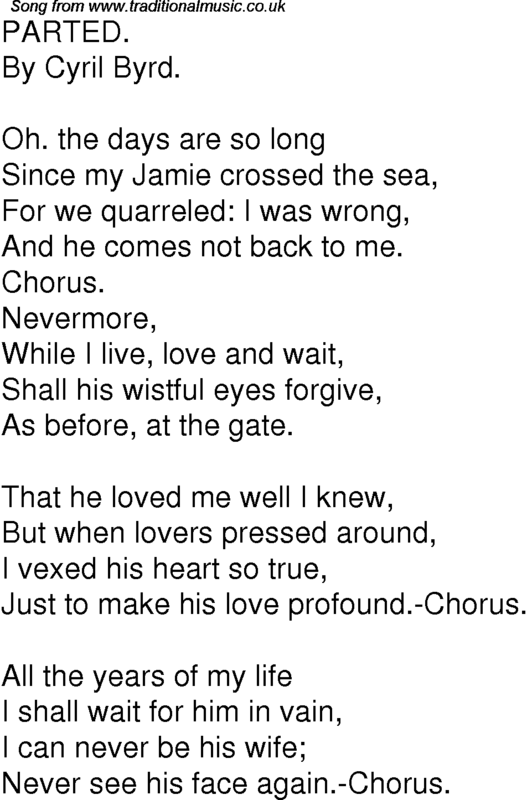 Just to make his love profound.-Chorus. Never see his face again.-Chorus.